We decided to make our giveaway a little easier for you. Instead of listing ALL of the MCT products that each designer used on their projects, try to find just one! If you can "spy" one old or new My Creative Time product and tell us about it in the comments, you will be eligible to win one of these great prizes! Emma will announce the winner during the blog hop on Wednesday, July 17th. 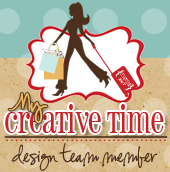 We will also have a 2nd prize winner who will win a $50 gift certificate to the My Creative Time store! Thanks for stopping by today and make sure you check out the rest of the design team for more crafty inspiration! Also, If you would like to buy the new release it is available here. Big crafty hugs! Beautiful card Nancy! LOVE all those fun stamps and dies!! Thanks for sharing and have a GREAT Friday! 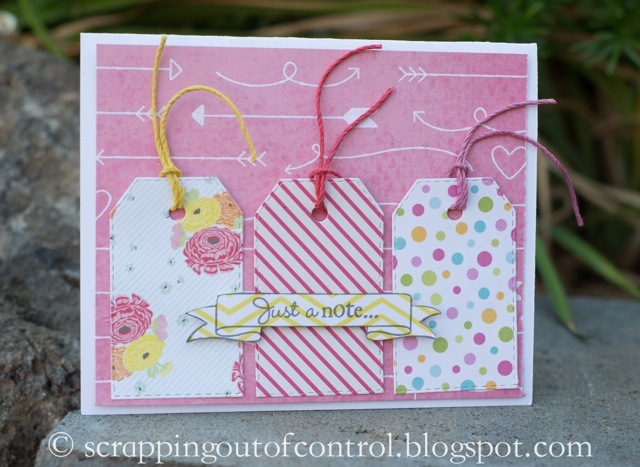 Love your card Nancy and the new tag dies is awesome and the banner stamp too!!! Adorable card, Nancy! Love the colors! So pretty! "Tab Notes" Stamp set was used. Your card is really neat I love what you did with the tag dies very clever. Adorable love the tags and the fun card w/ the senitment. Too cute. Love the colors. Very pretty card!! Love the Stitched round tabs on it!! Love how you used the tags to layer your background. So pretty...I spy the new tag die!! Like how you used the new Tab Notes stamp set banners stamp. Very cute card. Love how you used the tag die on your card. What a cute way to use the new Stitched Round Tab Arrow and Tag Die. Love those Amy T papers. So fun and bright! What a cute card and loved the way you used your tags from the Stitched Round Tab, Arrow & Tag Dies! I love tags, too! Very cute and colorful card! I spy the Tab Notes Stamp Set. Very cute--I like the tags. I spy the Tab Notes Stamp set. I spy Tab Notes Stamp Set. I like the happy tags...so cheerful. Great job! Love love love your designs! What a cute way to use the tag die!